As the UK and many other western societies face up to the consequences of a rapidly increasing prison population, so the search for alternative approaches to punishment and dealing with offenders has become an increasingly urgent priority for government policy and society as a whole. 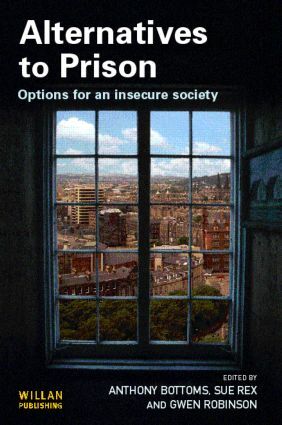 This book reports the results of the research programme commissioned by the Coulsfield Inquiry into Alternatives to Prison, which was funded by the Esmée Fairbairn 'Rethinking Crime and Punishment' initiative. It is written by leading authorities in the field, and provides a comprehensive, authoritative and wide-ranging review of the range of issues associated with the use of noncustodial sanctions, examining experiences in Scotland and Northern Ireland as well as England and Wales.